I love printing with ink but had not played with that in awhile. I used freezer paper for a printing plate and used Dr. Ph. 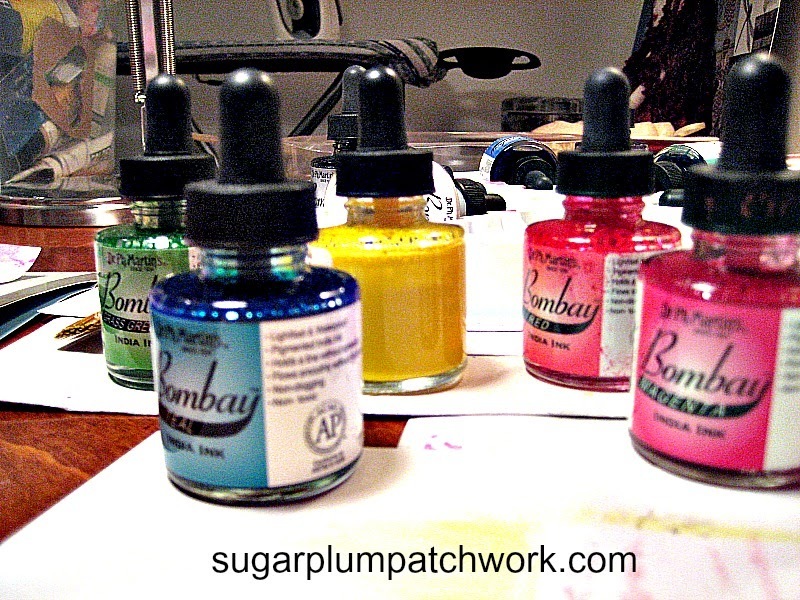 Martins Bombay India Inks full strength and diluted with water. It's always fun to see what you will get. Here are a few examples. I love the pastels you get with the diluted inks. And all the layers show through nicely! 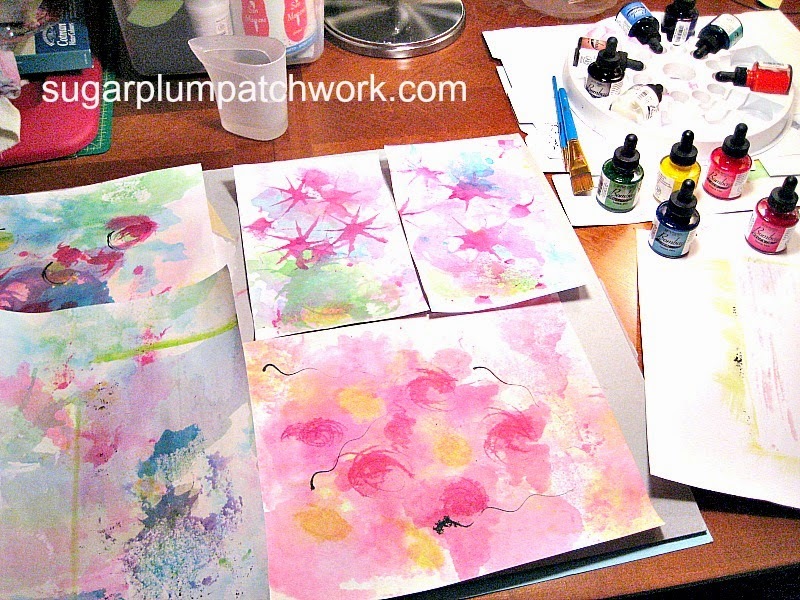 Using the inks full strength either on top of the pastel prints or alone gives stronger color. If you try it - fair warning - hours can go by quickly! 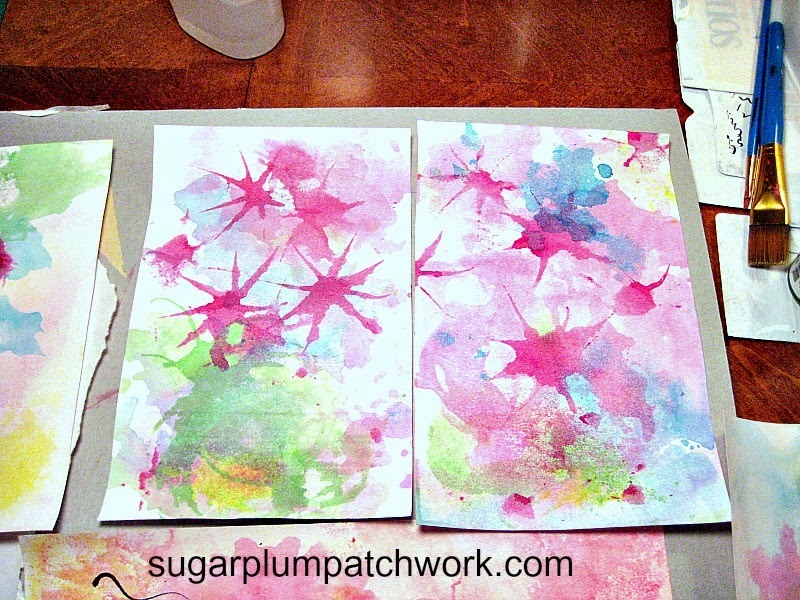 I printed these on white cardstock and they would make great journal pages or cards. I've got a tutorial in the works. So much fun and very colourful. I especially love the left hand art piece in the final photo, the yellow makes all of the colours really dance! WOW! I love this post! This is just amazing. LOVE what you did. What fun! I have some of those inks and haven't even looked at them in ages. 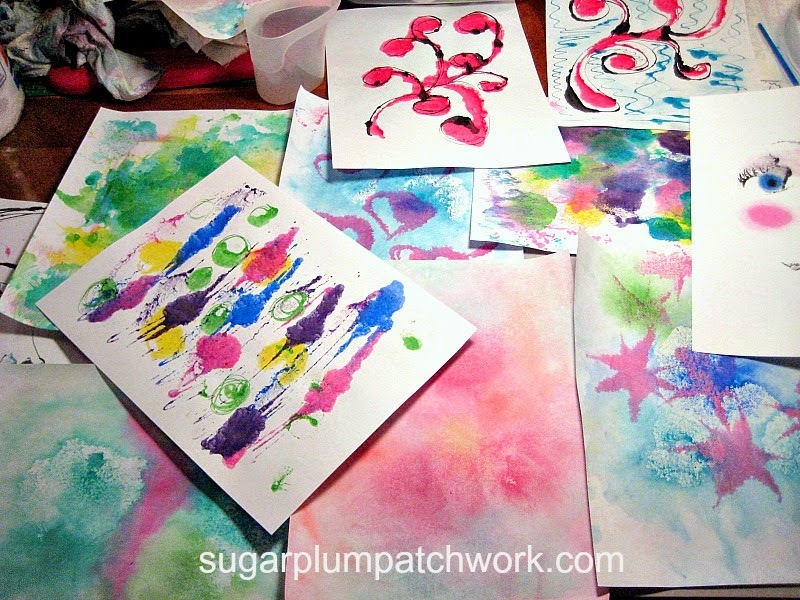 Your post is so exciting that I am off to try my hand on freezer paper with the inks.